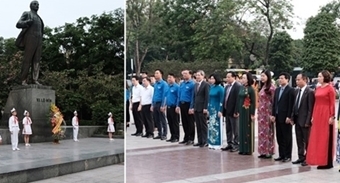 The event is part of activities to celebrate the 128th Birthday of Uncle Ho (May 19, 1890-2018) and 70th Anniversary of President Ho Chi Minh's call for patriotic emulation. Politburo Member, Prime Minister Nguyen Xuan Phuc attended and addressed at the event. The conference was chaired by Senior Lieutenant General To Lam, Member of the Politburo, Secretary of the Central Public Security Party Committee and Minister of Public Security. 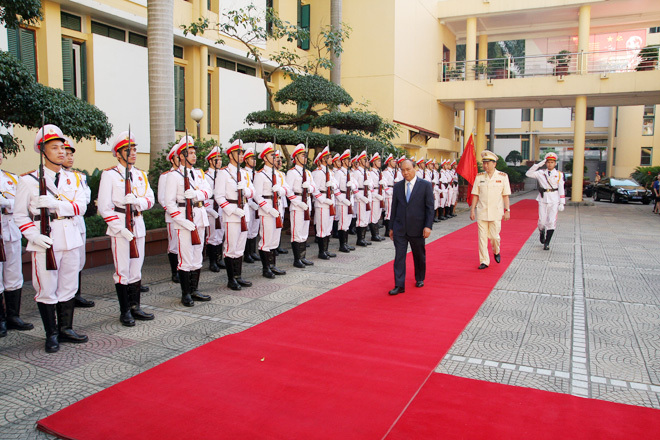 PM Phuc presents the title of “National-level Emulation Soldier” to 12 public security officers and soldiers. In his opening remarks, Minister Lam emphasized that the conference should comprehensively discuss good outcomes and limitations, as well as causes of shortcomings and lessons from the implementation of the movements. It also aimed to promote the movement “Studying and following of President Ho Chi Minh’s thought, morals, lifestyle” in the whole public security forces, and clarify objectives, requirements, tasks and solutions to renovate and improve the quality of the movements in the coming time. 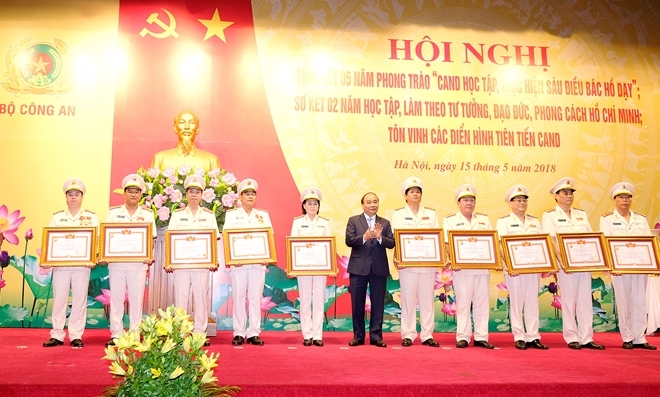 Speaking at the event, on behalf of the Party and State leaders, PM Nguyen Xuan Phuc recognized and praised the achievements and victories of the People's Public Security Forces, as well as holders of the title “Heroes of People’s Armed Forces” and excellent examples in the Public Security Forces who had made good deeds at work, in fight as against crimes and in the implementation of the six teachings of Uncle Ho. 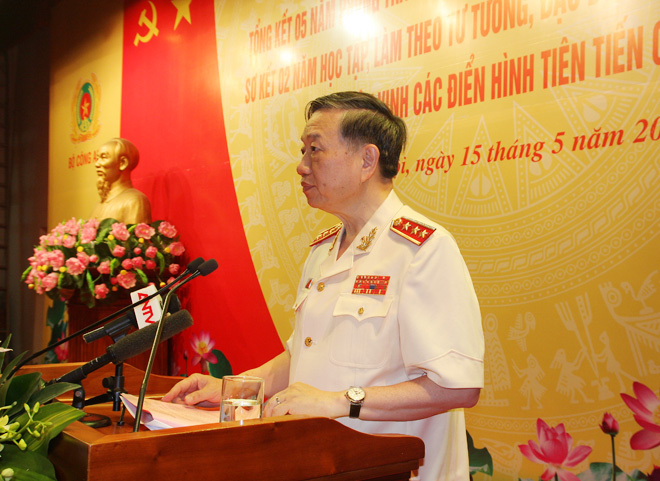 Regarding key missions in the coming time, PM Phuc emphasized that the 6 teachings of Uncle Ho are the core content of his thought on the People’s Public Security Forces. He suggested, the learning and following of Uncle Ho’s six teachings should be defined as a key political task for each organization, unit, officer and soldier of the Public Security Forces. Minister To Lam presents the “Emulation” Flag of the Ministry of Public Security” to 15 teams with outstanding achievements in the movements. He also urged the forces to promote information work and political education, drill in morality and lifestyle, strictly observe the Public Security Forces’ discipline and regulations o; further popularize the contents, values and historical significance of the teachings to every officer and soldier of the Public Security Forces.